I have always been a pasta lover. I don't make it every night or even every week, but when I do make it, I gobble that stuff up! I typically have to chock it full of meat and veggies to keep the husband satisfied, but when he is away, I like to get back to the basics. This recipe is just that: basic, simple, fresh, delicious. I know it's pasta, but I really did not feel guilty eating it. I used whole wheat rotini and fresh, healthy ingredients for the sauce. For those weeknights when the husband is away, I will definitely be turing back to this simple little treat! Bonus: it took less than 10 minutes to prep. That's my kind of dinner! 1. Cook pasta according to package instructions. Drain, and set aside. 2. Meanwhile, add basil, pine nuts, minced garlic, avocado and EVOO to your blender. Blend until smooth and creamy. 3. Pour basil mixture over your noodles and stir to combine. 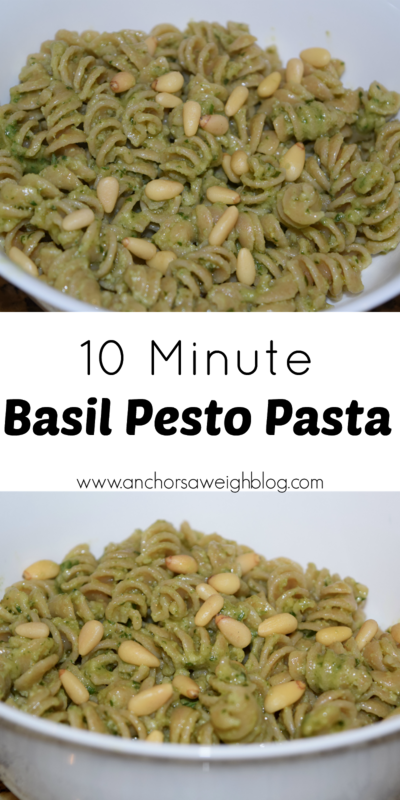 Garnish with a few additional pine nuts and serve! Oh, my husband would LOVE this! I don't really do avocados because they taste/feel weird to me, but I may give this a try anyway to see how it is. I love quick dinners!! I am making this tomorrow! It looks amazing. I am obsessed with pasta salads. This one look so good, and better yet so simple! I will def be making it! 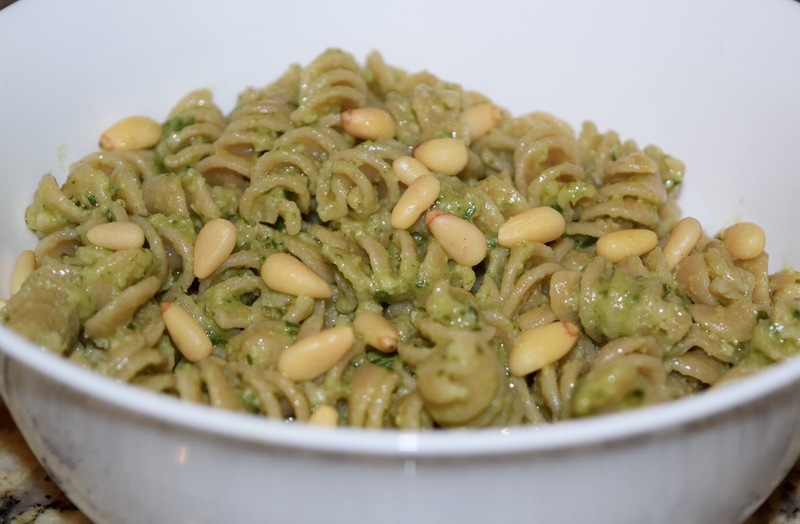 mmmmmmmmm i LOVE basil pesto and pine nuts!